(Denver, CO) Written by Robert Sutton. Eric Dewey is building roads on his new album, Lark the Ivy On. Their location? Somewhere between the imagination and the Milky Way. Like a number of progressive-rock acts of the early ‘70s, Dewey looks to the stars for inspiration. Naming his one-man instrumental lightshow Dewey Syntax, he uncovers the missing link between Mark Knopfler of Dire Straits and Pink Floyd. From Knopfler, Dewey has learned the significance of moody atmospherics. This can easily be heard in the nighttime soloing of "Moonlight/Still in Love," wherein Dewey unpeels layers of soul-baring emotion. The Pink Floyd influence makes its presence known when Dewey kicks into interstellar overdrive. Just listen to the swirling guitars of "Better Days Ahead" and marvel at their ethereal textures. This is the kind of music that astronauts should blast on their iPods as they hover around Earth. 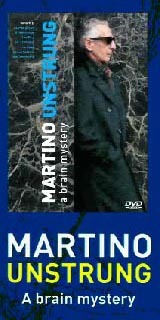 Both progressive rock and jazz fusion - the two genres that Dewey experiments with here - have a reputation for being too cerebral, even clinical, for the general public. However, the same can't be said for Dewey's work. There is a warmth to Dewey's guitar playing that, despite all of the synthetic coating, is rooted in the deep soulfulness of the blues. For example, "Emerald Eyes" is aglow with Dewey's romanticism; his guitars sparkle like fireworks, capturing love's explosion of fulfilled longing. "Everyone approaches an instrument in their own way," Dewey explained. "I can hear my style and sound on my recordings, which inspire me to fuel my passion to write and play music." That passion is clearly evident in every note in Lark the Ivy On. 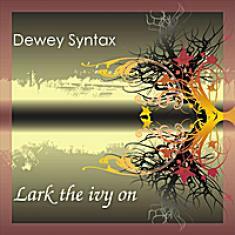 Lark the Ivy On is already Dewey's fifth release, but to him he's just starting, continuing to learn and expand his craft. "I love to challenge myself musically and have the ability to allow the music to still be fresh and have others enjoy it," he said.